Hungary’s Prime Minister, Viktor Orban, is passing legislation laws called ‘Stop Soros’, after George Soros has continued to fund various NGO’s to flood European countries with yet more economic migrants and refugees illegally, which he has callously been doing by giving money to the EU and European Commission for many years now. However, countries like Poland, the Czech Republic, and specifically Hungary have refused to take in any additional migrants, which is being pushed onto them by the European Union, who are now even threatening fines on the three countries if they don’t take in more migrants. In response to the actions of the evil super state of the EU, Prime Minster Viktor Orban has issued new laws which are vital to the preservation of Hungarian culture and society, by implementing mandatory registration of NGO’s that ‘support illegal immigration’. The ‘Stop Soros’ laws aims to halt the influx of immigration from Middle Eastern countries, which is no doubt the cause of evil Hungarian-American billionaire, George Soros. Yes, the new laws will penalise and fine NGO’s that are foreign funded to aid in illegal immigration, which most of Soros’ own NGO’s are doing to Europe right now as we speak. Funny, how it’s all intertwined back to George Soros, right? A man that’s also been behind the domestic terror group Antifa, that farcical liberal women’s march, as well as funding both sides of the skirmishes in Charlottesville (KKK and the racist BLM movement) before and after Donald Trump was elected President, to name some of his other crimes in America. George Soros is the fake philanthropist that liberals want you to believe is an actual philanthropist, but instead, he’s a man that is undoubtedly tied to the plans of destroying Europe, as well as the societies of the nations in Europe with his self funded, pre-planned influx of Islamic migrants since the commencement of the Arab Spring (behind that too), whilst having Hillary Clinton and Barack Obama bomb seven nations simultaneously during Obama’s presidency. How progressive! Indeed, Democratic socialism in America under Obama was a disaster, and Soros’ socialist plans whilst in collusion with the European Union via his Open Society foundation has already made a mess of Europe. He’s also heavily funding the puppet politicians in Europe, like Angela Merkel and Emmanuel Macron. Let’s be clear, George Soros funds organisations and sparks uprisings for his own political and financial gains, which is well known, especially by Viktor Orban, who is expected to get a successful third term in the April 8th elections. He vehemently despises former friend George Soros. Who doesn’t? In the ‘Stop Soros’ legislation, a mandatory registration of some non-government organisations that ‘support illegal immigration’ will be implemented, plus the new laws also include a 25% tax to be imposed on foreign donations that NGO’s collect, and activists could face restraining orders that preclude them from approaching the EU’s external borders in Hungary. Third World nationals could also be faced with a restraining order from anywhere within the country. The exact details of the entire legislation of the ‘Stop Soros’ laws is still yet unclear, until they are released today, but they will most likely also include a total ban on George Soros from entering Hungary, as well. 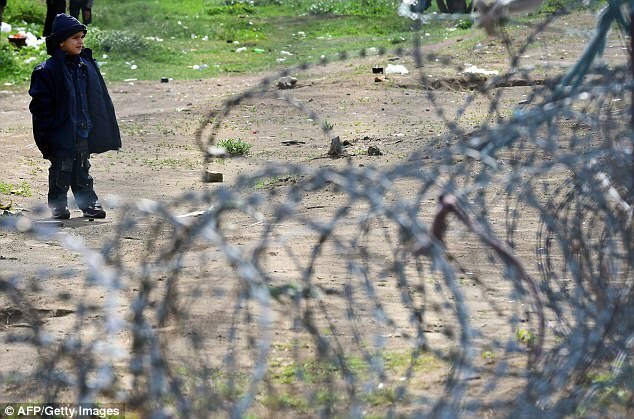 The government of Hungary state that the new laws will not affect the Red Cross, who help to give food, medicines, and aid to migrants, but as Hungarian government spokesman in Zoltan Kovacs said: “Giving assistance is not the same as actively taking part in someone crossing the border illegally”. We would have to agree with his statement wholeheartedly. It surely rings bells with southern European nations, such as Italy, who have had NGO’s drop of illegal migrants by the boat load continuously in the last year. At a time when Emmanuel Macron is due to speak to Theresa May today in order to convince her to take more migrants from the Calais jungle, perhaps the British Prime Minister should take a page out of Viktor Orban’s new book of laws before Brexit soon occurs. Wouldn’t that be something? Viktor Orban is a staunch opponent of the Muslim invasion via the Soros funded EU scandals. In 2015, they already built long fences along its southern borders to stop the influx of migrants from being able to enter their country illegally. Good idea in hindsight, we think! There haven’t been any terror attacks in Hungary, as well as in Poland and the Czech Republic since the mass migration began, unlike in Sweden, France, Germany and in other EU cowering nations. Funny how that works, eh? Last month, the European Commission said it was suing Hungary, Poland, and the Czech Republic at the European Court of Justice (ECJ) for refusing to take in more asylum seekers. As for the countries in the EU that wish to remain European, we urge them to also “Resist!“, and ultimately leave the European Union altogether in order to preserve its cultures, futures, values, and our own European societies.